Minister for Housing, Planning and Local Government Eoghan Murphy has declined to commit to a date for a constitutional referendum on keeping water services infrastrucure in public ownership, according to unions who met him today. After the meeting, SIPTU Divisional Organiser Adrian Kane said unions had tabled a four strand process to enable discussions on transferring staff from local authorities to the Irish Water utility. Those strands include a constitutional referendum on maintaining water services and infrastructure in public ownership, terms and conditions of staff, accountability of the Irish Water entity, and the role of local authorities after services like water were stripped out. He said nothing would be agreed until everything was agreed, and unions were awaiting a response from the Minister as to whether the process was acceptable to him. Mr Kane said the obvious date for the referendum would be run in-line with the local elections, but that the Minister had given no commitment to that date. He said Mr Murphy had not categorically ruled it out, but would have led them to believe that it is unlikely to be that date. Asked if there was any chance of local authority staff transferring before a constitutional referendum is completed, Mr Kane reiterated that nothing is agreed until everything is agreed, and that the referendum is an integral part of that process without which things could not be resolved. Asked whether before engaging in talks unions required a Government commitment to hold a referendum or that a referendum must be passed, he said the commitment would be to hold one, with a date as well, but no one could be certain what the Irish people would do in any vote. Unions have pledged to resist Government plans to transfer 3,500 local authority workers to the Irish Water utility unless there is a referendum to keep water services in public ownership. They say the Government's plan is "fraught with risk and could jeopardise the continuity of safe drinking and waste water supplies". 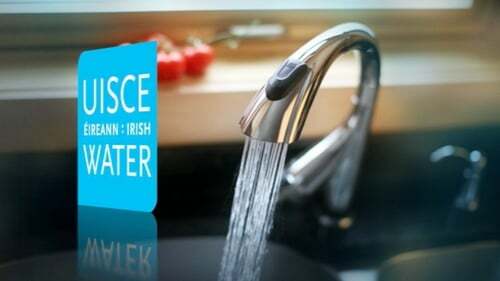 Water services are currently delivered on behalf of Irish Water by local authority workers under Service Level Agreements with each county council. However, the Government wants to move those workers to Irish Water by 2021 - four years before the current SLAs are due to expire. Before the meeting, Mr Murphy said there is no threat to the public ownership of water, but he is involved in a process of having a referendum on public ownership to enshrine it in the Constitution. He added that the most important thing is that when a proposition is put to the people for referendum that it has cross party support. The minister said he is working with the Attorney General to confirm language and that there are no unintended consequences of a referendum on the issue. Ahead of today's meeting with the minister, Fórsa official Peter Nolan said local authority staff have growing fears that the mass move of council staff to Irish Water could be a stepping stone to water privatisation unless a referendum takes place first. The Government has indicated that it is open to a referendum on keeping Irish Water in public ownership, but said that the Attorney General is currently examining potential wording for such a referendum to address issues around private and group water schemes. There is no current timeline for the Attorney General's work. Mr Nolan said Fórsa was deeply disappointed that the water ownership referendum had not been included in proposals announced this week for referenda next May. He said water workers were already unenthusiastic about proposals to bring them under the control of a commercial body like Irish Water - but to do so without constitutional protection would create a disaffected workforce and public disquiet over the future of water costs and quality. Fórsa says that after today's meeting with the minister, it will decide on whether to engage in negotiations about the potential transfer. Unions have consistently argued that workers should not be forced to transfer to a new entity against their will. A Workplace Relations Commission review over the summer found that some local authority workers were refusing to work in the water division for fear of being transferred out to Irish Water and losing the benefits of their public service status. Speaking on RTE's Morning Ireland, Mr Nolan said Forsa is concerned about "unintended consequences" that might arise over the transfer proposals. He said the proposals sound reasonable but it is not known where the workers will be based or if they be answerable to local public representatives in the way they currently are, following the move. He added that there is a huge benefit to having workers with local knowledge of, and experience in delivering, local water services.